Jeff is the owner and CEO of Cobra Canine. He has dedicated over 25 years developing the finest training techniques for police dogs, tactical obedience, drug and explosive detection, tracking, personal protection, and pet obedience. 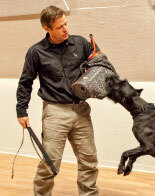 As a Canine expert, Jeff has trained over 4,000 dogs of most all breeds, including pets for civilian life. 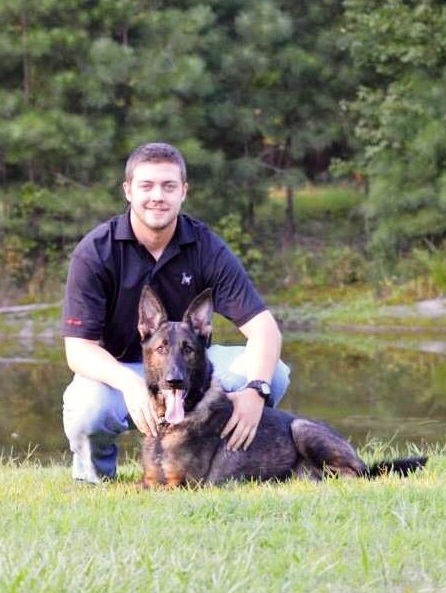 He has also trained hundreds of canine handlers across the United States in all walks of life. 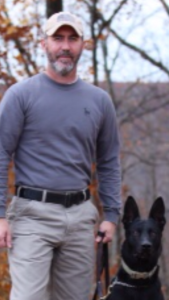 Jeff has trained hundreds of dogs for police and special operations, such as SWAT, ERT and Military units. He has sharpened his abilities by training in Europe, Iraq, Afghanistan, and both South and Central America. Jeff has been responsible for training, certifying, and ensuring that police as well as military working dogs were ready to deploy in today’s theaters of operations. Jeff has been directly responsible for serving the needs of several large programs including the Department of State, Pentagon, US Customs, Algeria Anti-Terrorist unit, Guatemala, El Salvador, Ecuador’s National Police and Government Palace and numerous U.S. Police Departments. Jeff has over ten years of real world experience as a police canine handler and trainer, and has seen first hand results of his efforts. 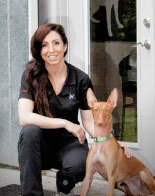 Ulrika is the Chief Operations Officer (COO) for Cobra Canine. With over sixteen years of business, management and marketing experience she manages the Cobra Canine team in all business aspects. She specializes in business development, marketing strategies, personnel relations, design, media relations and contracting. 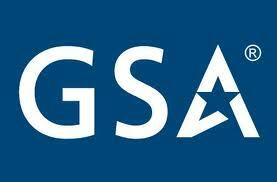 Ulrika is the FSO (Facility Security Officer) of Cobra Canine and is our GSA Contract Specialist and Contract Writer. Emma is the Director of Operations for Cobra Canine. With a background in Government contracting, Emma performs a variety of duties to ensure compliance and customer satisfaction. Emma has over seven years of management experience specializing in finance, marketing and communications. She is also the Assistant Facility Security Officer for our staff. Brent Verner is an 8 year veteran of Special Operations. He served as an operator, MPC handler and trainer for 1st Ranger Battalion. He has several deployments to Iraq, Afghanistan and other parts of the Middle East in various capacities. He has trained US and Host Nation Special Operations MPC teams, as well as local and federal law enforcement K9 and SWAT teams. He was an instructor for the DOS Global Anti-Terrorism Assistance program and acted as an Operational Advisor for the Asymmetric Warfare Group. Brent enjoys many dog sports including Schutzhund, French Ring, Lure Coursing and Earthdog competitions. Adam has worked for Cobra Canine since he was a teenager. He has been involved with every aspect of canine care, handling and training for many years. He has proven himself as a canine professional the last few years by providing kennel support and training for the US Military. Adam’s specialties include decoying, bite work, detection, pet dog obedience, tracking and sport dogs. Chad is a fifteen year veteran of law enforcement, with over a decade of Multi-Purpose Canine handling and training experience. 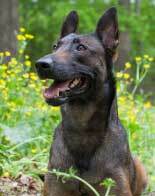 He has served in a variety of capacities including Patrol Canine Trainer and Handler, Explosive Detector Canine Trainer and Handler, Narcotics Detector Canine Trainer, Field Training Officer, and certified Patrol/Utility Trainer for the Virginia Police Work Dog Association. As a Multi-Purpose Canine Handler, Chad was utilized by the government in screening venues for multiple high ranking official visits to the Hampton Roads area. Additionally, Chad has assisted with venue screenings and checkpoints with the Federal Bureau of Investigation, Homeland Security, Virginia State Police, and a multitude of local municipalities. Chad also served Honorably for eight years in the United States Marine Corps prior to starting his career in law enforcement. 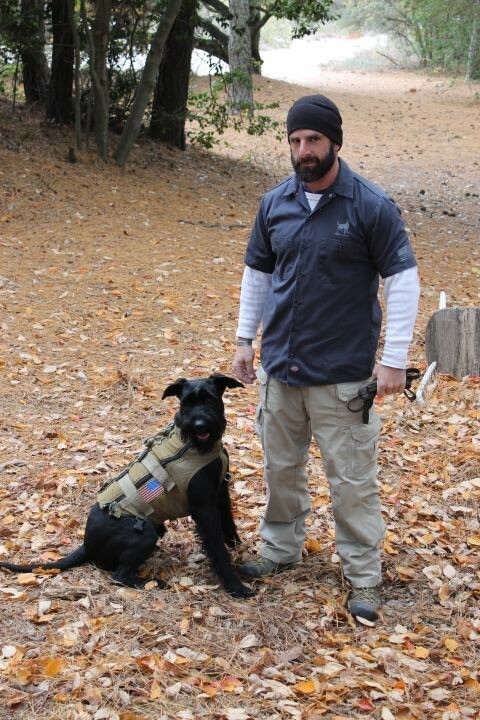 He currently provides curriculum and training for Multi-Purpose Canine teams for the US Military. 55 pounds of lean muscle. She’s a lean, mean, working and biting machine. She’s also the image you see in our logo. She’s an amazing partner and can usually be found right next to Jeff at any given time of the day. There isn’t much she can’t do and she likes it that way. Jeff has had Abby since the day she was born and she is the Best Dog he has ever had. A 30 pound red running machine. 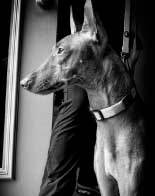 You probably haven’t seen one before, but she’s a member of the sighthound family- a Pharaoh Hound. She’s the fastest thing on four legs since the invention of the laser or the speed of light. She’s the free spirited red dog you will find by Ulrika’s side. 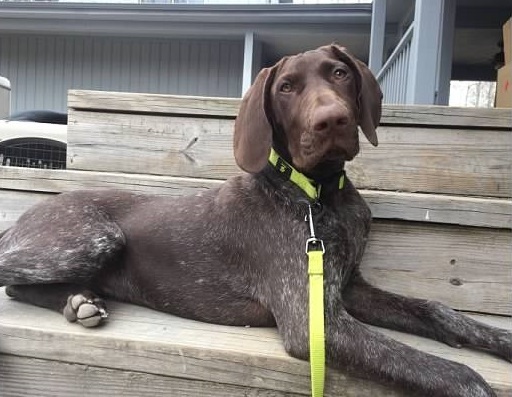 Valor is our 64 pound German Shorthair Pointer. She’s Energetic, Eager To Please and Keen on her Family, the 4 Wheeler and anything having to do with water. An all around family dog- with a big heart and tons of muscle and athleticism. She is Trained in Explosives Detection and is a Natural Born Bird Dog.